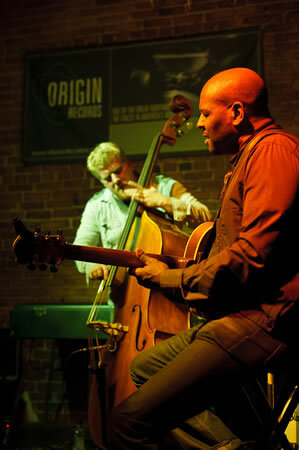 Bobby Broom performing at Conor Byrne Pub during the Ballard Jazz Festival’s Guitar Summit. Bobby and his trio will be performing on Saturday during the Mainstage Concert at the Nordic Heritage Museum. 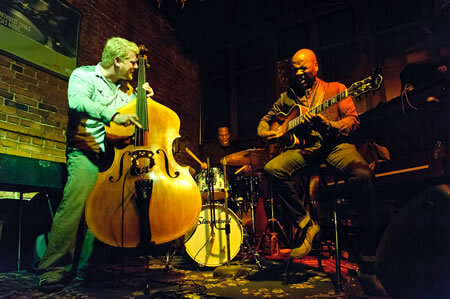 Pictured: Bobby Broom (guitar); Clark Sommers (bass) and Kobie Watkins (drums). featuring: Human Spirit, Wayne Horvitz, Jovino Santos Neto Quarteto, Pearl Django, Spin Quartet, Jeff Baker, Todd DelGiudice, Clipper Anderson, Gail Pettis, Fred Hoadley and more! Tomorrow kicks off the first night of the annual Ballard Jazz Festival, starting Wednesday, April 18 and going through Saturday, April 21. Thursday, April 19, the Guitar Summit will take the stage at Conor Byrne, featuring Bobby Broom, Tim Young, John Stowell, and Dave Peterson. 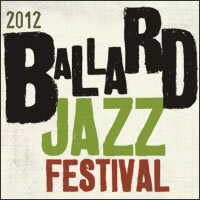 Friday, April 20, is the Ballard Jazz Walk, featuring 17 groups happening at 12 venues all over Ballard. Saturday, April 21, the festival will be going on all day, starting with the Swedish Pancake Jazz Brunch at 11 a.m. at the Nordic Heritage Museum. The festival will culminate that evening with a concert at the Nordic Heritage Museum, featuring Bobby Broom Trio and the Orrin Evans Quartet. from the Seattle Times: Mike Allen, the terrific tenor saxophonist from Vancouver, B.C., who now heads the jazz program at Western Washington University, celebrates the release of his new CD, “Faculty Jazz Collective,” as part of the Eastside Jazz Club concert series. Allen’s quartet performs at 7:30 p.m.
We’ll have a double feature on this week’s show. First, we’ll review and sample music by some of the winners of Golden Ear Awards presented by Earshot Jazz on Wednesday. This the annual celebration of notable achievements by Seattle musicians in the past year. 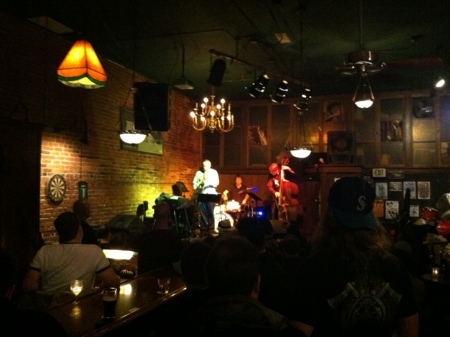 In the second part of the show we’ll preview the 10th Annual Ballard Jazz Festival which takes place in multiple locations around Ballard next week, April 18-21. We’ll also be there recording for future Jazz Northwest shows. 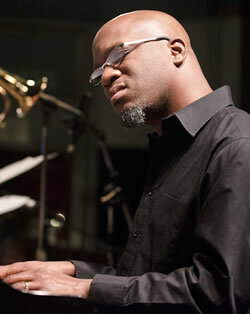 With Evans, as with Seattle jazzers, local pride runs deep. 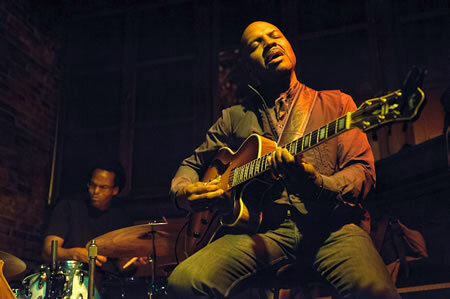 In talking about influences, he’s as likely to mention Philadelphia keyboard legends Trudy Pitts and Shirley Scott as Kenny Barron or Ralph Bowen, the teachers he encountered at Rutgers University’s Mason Gross School of the Arts. 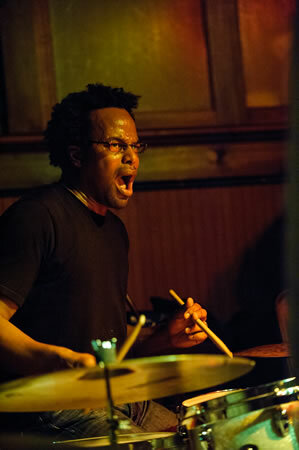 Evans is also passionate about the African-American roots of jazz — he came up in the black church — which you can hear in his soulful swing and knotty, percussive attack, qualities that have earned him slots with Bobby Watson, Sean Jones, Branford Marsalis, Nicholas Payton and the Mingus Big Band.